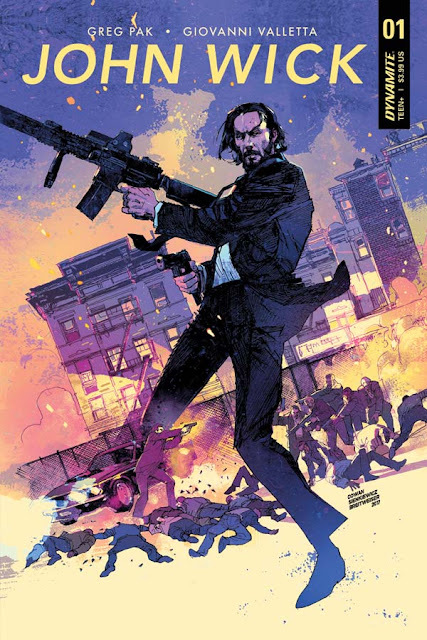 Award-winning writer Greg Pak (Planet Hulk, Code Monkey Save World), and artist Giovanni Valletta (Dark Horse Presents) have been tapped as the creative team to bring the world of the hit-film franchise John Wick to the pages of comics, thanks to a new partnership between Dynamite Entertainment and Lionsgate Films. Slated to launch on September 6th, the new series will offer fans of the massively popular character the opportunity to discover his thrilling origin story for the very first time! Writer Greg Pak says, "I was on board pretty much as soon as I got the call and heard ‘John Wick.' I'm a huge Keanu Reeves fan and loved the John Wick movies, which had the kind of kinetic action and intriguing mythology that seemed like a perfect fit for comics. I'm also always happy to work with my friends at Dynamite, who are always a pleasure to make comics with. 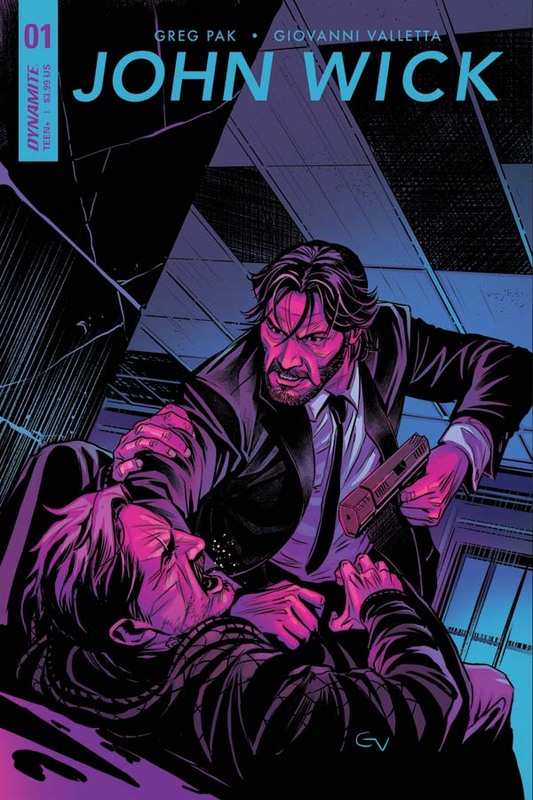 And the art I saw from Giovanni Valletta blew my mind -- he's totally nailing Keanu Reeves' likeness while creating emotional, dynamic, exciting action. This book is going be BEAUTIFUL. 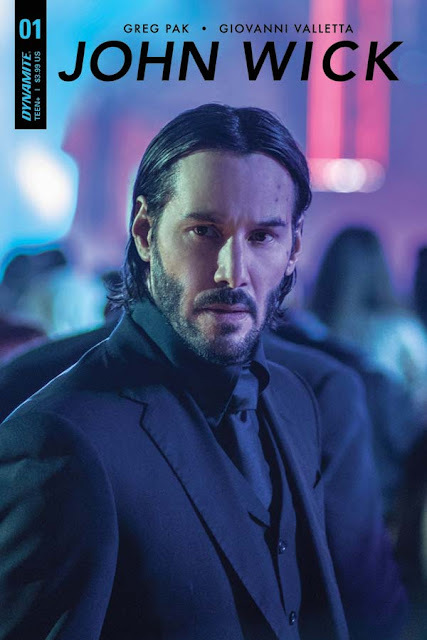 But what really sealed the deal was when Dynamite Editor Anthony Marques said we had the greenlight to tell a John Wick origin story. That was astounding to me -- we're not just telling another fun adventure with the character; we're actually going to be able to add to this character's and world's tremendous mythology by telling an origin story! What could be cooler than that?"